Book in January, February or March and receive a discount! Weddings can be expensive. At Woodside, we keep your budget in mind. Book with us during January, February or March and receive at discount on your final bill. All of those expenses can add up - let us save you some money on the reception without sacrificing on the quality! Book on a Friday or Sunday and receive a discount! When it comes to your wedding - every little bit helps! 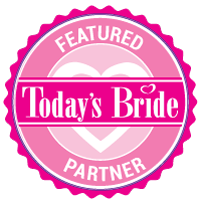 At Woodside, want to share in making your wedding day perfect! Booking with us on a Friday or Sunday and discount on your final bill - savings you can use on other areas for your wedding! If you are looking for a more relaxed, casual wedding reception, Woodside is able to offer our 8,000 sq. ft. gymnasium as an alternative to our elegant banquet facility. Located in the lower level of our Event Center, the Gymnasium at Woodside is capable of hosting 500 or more guests in a relaxed, casual atmosphere.